Diversify your portfolio with safe investment options that grow your money steadily. 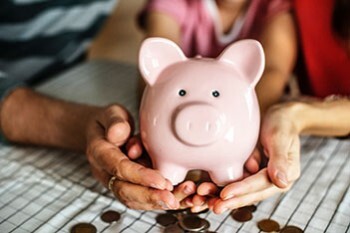 Certificates of Deposit allow you to invest your money in a product that offers a guaranteed*, competitive rate of return that will never change over the term of the CD. This provides peace of mind knowing your money will grow consistently over time. Invest in multiple CDs at various terms so they mature every six months to a year. Then you can use that money to cover expenses or reinvest it in another CD. Priority Platinum customers with a monthly direct deposit of $250 or more and an average daily balance of $5,000 or more are eligible for premium CD Rates. 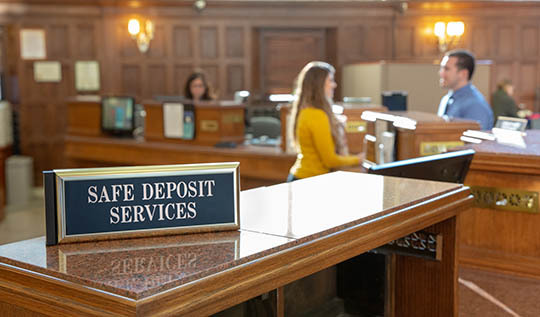 Savings Bank of Danbury is a member of the Certificate of Deposit Account Registry Service® (CDARS), which provides up to $50 million in FDIC insurance coverage for your CDs. Invest confidently in our CDs knowing your money is fully insured. *Minimum of $500 is required to open a Certificate of Deposit and earn interest. Fees may reduce earnings. The APY remains in effect until maturity. Early withdrawals are subject to penalty. Priority Platinum and Priority NOW Checking customers may be eligible for premium rates: 15 month CD requires $1,000 minimum opening balance. **Smart Choice Liquid CD requires a minimum $50,000 opening deposit. Deposits may be made in increments of $1,000 or greater. Principal may be withdrawn in increments of $1,000 or more, however, a withdrawal of funds within seven calendar days of their deposit or within seven calendar days of any prior withdrawal is subject to a penalty. If the withdrawal brings the account below the required minimum balance of $50,000, the account will be closed and a penalty will be imposed on the required minimum balance. Other early withdrawal penalties may apply. Deposits and withdrawals must be made in person. There is a maximum allowed balance of $250,000. Fees may reduce earnings. The APY will remain in effect until maturity. Offer may be withdrawn at any time. The Interest Rate and Annual percentage Yield is fixed until maturity, unless a withdrawal is made that brings your balance below the minimum balance shown above. * “Bump Up Option” - The interest rate and APY can be changed once during the term of the CD and the new Interest rate and APY will be in effect until the original maturity date. For more information and account disclosure information please click here.